Last weekend, the SOU Raider Men’s and Women’s basketball teams hosted both Northwest Christian and Corban in back to back nights of basketball. 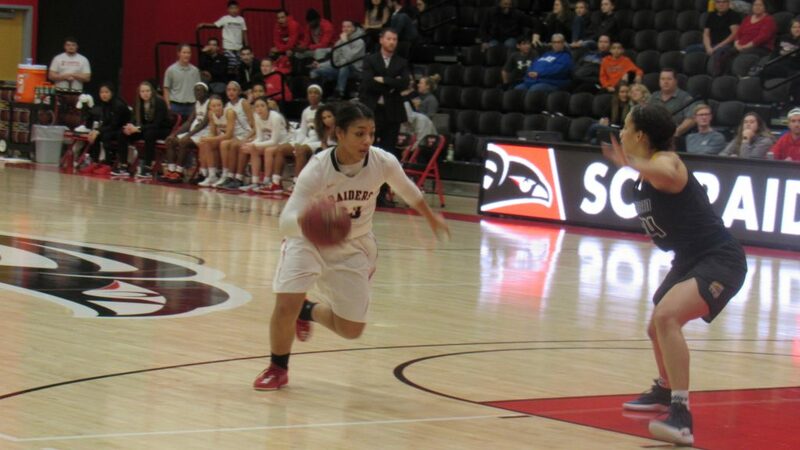 On Friday, the women’s team beat Northwest Christian, but the men’s team lost. 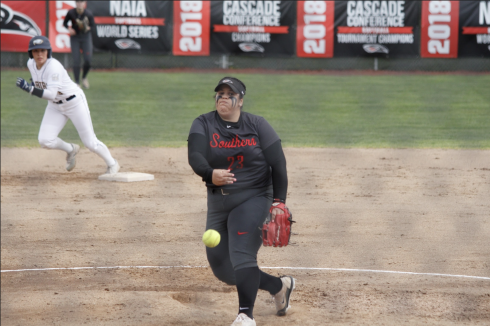 On Saturday, both teams lost to Corban. The women’s team played the first game on Friday in a winning effort with the score being 57 to 45, and Syd Fryer led the Women’s team with a team high of 17 points. The men’s team followed with an exciting game albeit in a losing effort to Northwest Christian with a score of 104 to 108, and the Men’s team leading scorer was Teron Bradford with 27 points, scoring 10 out of 17 field goals. The next night resulted in loses for both teams. Daranda Hinkey and Destinee Jones led the Women’s team with a combined 33 points, 4 assists and 7 rebounds. The Men’s team was led by Tristen Holmes who had 16 points, 8 rebounds and 4 assists. The men’s and women’s teams will face Evergreen State college tonight. The Women play at 5:30p.m. followed by the men play at 7:30 p.m. in Olympia, Wash. The game can be viewed live online. The next home game for Raiders basketball will be on Jan 25 against Multnomah.